As Annie entered her teenage years, her whole world seemed shattered – Annie was staying at the domestic violence shelter with her mother and brother when her father committed suicide. 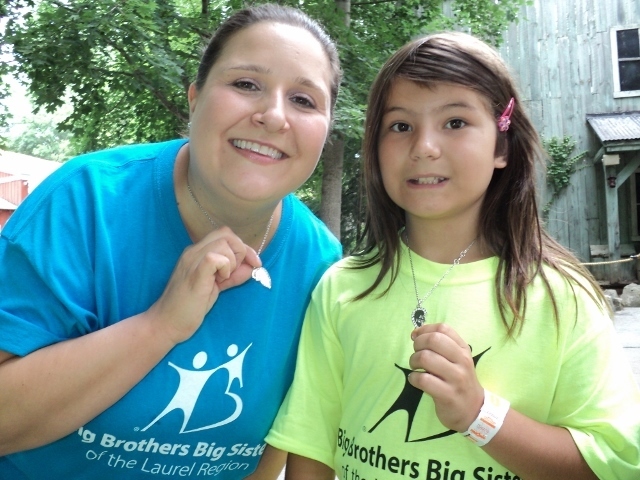 Her mother, faced with life as a single parent and overwhelmed with her husband’s death and reactions of the children, sought help from Big Brothers Big Sisters. She knew she was not able to be there for her children and carry out the roles of two parents, but she especially wanted Annie to learn positive ways to handle struggles in her fragile teen years. Big Sister Betty instantly began to take Annie out in the community, and Annie was able to try new things that she never had the chance to do. The things they did together were fun, but the bond and friendship they formed while talking, sharing, and laughing through these new adventures is something they both will carry with them the rest of their lives, especially now as Annie is getting ready to head off to college…something she could have never imagined doing years ago before Betty came into her life. Jimmy was very close with his father – the two of them went camping and fishing together all the time. Jimmy’s life turned upside down when his father suddenly passed away. Sally, Jimmy’s mother, knew he desperately needed a male role model in his life so she called Big Brothers Big Sisters for help. 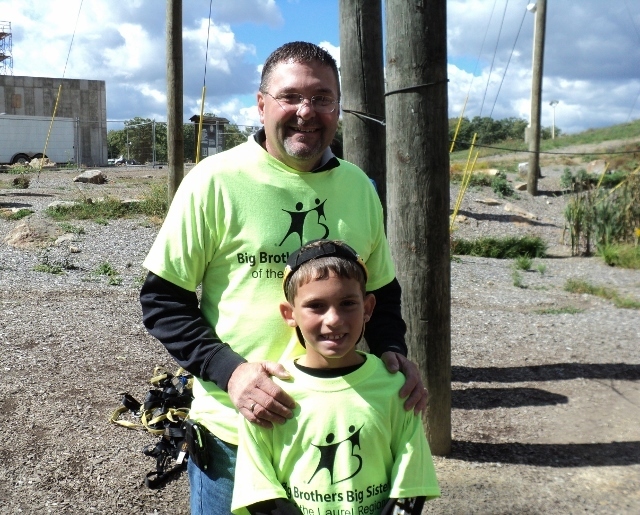 Jimmy was accepted into the Big Brothers Big Sisters program and patiently waited for a Big Brother. In July, Sally and Jimmy received the call they had been waiting for, “We found a Big Brother for Jimmy.” Kenny and Jimmy have been “matched” for almost year now and have been growing closer ever since. Kenny sees Jimmy about three times a month – they go fishing, camping, and watch motocross together. While Kenny cannot fill the void of Jimmy’s father’s passing, he has become Jimmy’s Big Brother – a mentor, role-model, a confidant, and most importantly, a great friend. Adam was a typical boy who loved sports. He couldn’t play on any teams because his mother, a single parent of four children and working two part-time jobs, could not spend the time or the money for him to join any organized programs. His teacher referred him to Big Brothers Big Sisters because she thought he needed a strong male role model in his life who would talk to him about things that he was interested in and gain a sense of the future and what opportunities were around him. Big Brother Andrew was a perfect match for Adam – he played baseball at a local college! Through their time together, the two talked about sports but Andrew also talked about the experiences he has had with baseball, from making new friends to going on trips to neat places. Most importantly, he talked to Adam about the importance of grades and needing to be a good student to also be a good player in any sport. Adam soon began to talk to his friends and teachers about being a good student so he could one day go to college like Andrew…… something he may have never thought possible until he met Andrew through Big Brothers Big Sisters. Renee struggled through high school years – it wasn’t the easiest time for her. Peer pressure and tough classes got the best of her, but then a special teacher helped her change things around. Renee went on to become a very successful college student, working part time while attending classes. 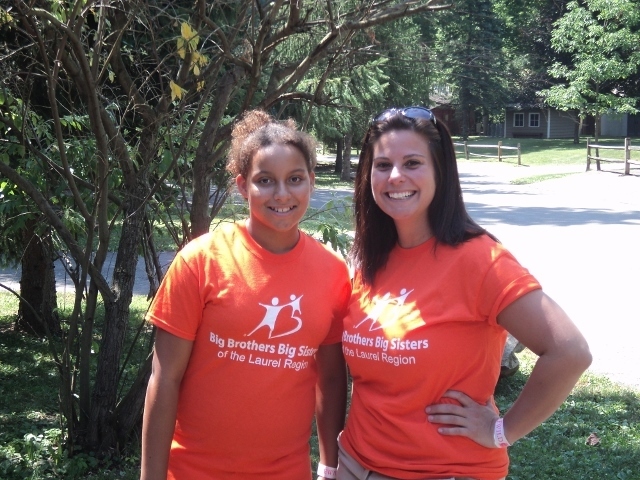 She wanted to give back what she learned from her teacher so she called Big Brothers Big Sisters and became a volunteer. She is now “matched” with twelve-year-old Brianna and helps her through some of the difficult issues she faced as an adolescent. Renee often takes Brianna to her college and spends time with her in a university setting. Brianna enjoys spending time with her friend and Big Sister Renee and already has her eyes set on attending college.